It could have been a funny discussion on the highly successful quiz show "Why were users of the Sky+ system up in arms last month? ", with Paul Merton suggesting Magic 6ft rabbits and the price of cheese as contributory factors. But of course the host of the quiz would have to tell him he was wrong. The correct answer is much more mundane. The reason (in this instance) that Series Links didn't work was because of "human error" i.e. "the linking code was double entered". Now before we dive off into "super complaint mode" it must be acknowledged that the BBC work very hard at setting up and keeping up to date the Electronic Programme Guide (EPG) information that Sky & Sky+ viewers both depend on. The number of Series Links used by the BBC is to be applauded and encouraged. The BBC obviously realise the importance and necessity of proper EPG data and setting up of Sky Series Links for their own channels. Despite the BBC's best endeavours, they still manage to get it wrong on occasion. How often they get it wrong it a matter of debate. The "Have I Got News For You" debacle was run over a number of weeks (a 4 week period), where the Series Link failed to be setup by the BBC - 3 times. This was despite the Series Link being selectable for the viewer and apparently being accepted into the EPG. Any "normal Sky+ viewer" would suppose that the recording of this top rated BBC programme would be assured. But of course, with hindsight, we now know differently. So did the BBC spot their mistake straight away? 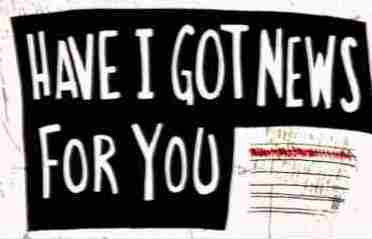 "No" seems to be the answer as problems with "Have I Got New For You" Series Links continued. The responder at the BBC who was good enough to give a reply, pointedly did not mention that it wouldn't or couldn't happen again. He gave a genuine apology, and left it at that. Why don't Sky Series Links always work? 1) The system does not have enough "checks & balances" written into it to make it foolproof - and foolproof is the appropriate term, because for many Sky+ users the simplicity and power of Sky+ to ensure that viewers "Never Miss A Thing" was the reason that they bought this value added premium service called Sky+. 2) The recent "improvement" to the Sky Series Links delivered to Sky+ units as a software upgrade was supposed to "strengthen the Series Link functionality". This makes the failure of programmes such as "Have I Got News for You" all the more frustrating. 3) Without a "Sky+ History file" to inspect on the users Sky+ unit to see if a Sky Series Link was really set, users are unable to tell, who is to blame and why the fault occurs. The Series Link entry gives the impression of just disappearing after the current viewed recording with Series Link set is deleted. In actual fact the new Series Link is never set because the matching programme ID for the next episode cannot be found. 2) E-mail Sky at skydigital@bskyb.com and complain that their Sky Series Link system is not "foolproof" and cannot be relied upon, despite the broadcasters best efforts. In the meantime, enjoy the many things that do work on Sky+ and let's hope that there is a rethink by Sky on making the marketing slogan a reality.